Last year, on the Fourth of July, my cousins, my sister and I all sat down around my computer and created a blog. We brainstormed names, looks, and content. And ultimately we came up with Pretty In Fiction. The next day we reviewed our very first book, a book I happened to be reading (and LOVING) at the time, Hollowland by Amanda Hocking! We've had a crazy year, blog wise and in our personal lives, but we're still here and still blogging! So to celebrate we're having a month long anniversary event! We'll be giving away ONE book of the WINNER's CHOICE from our list of 20 of our Favorite Review Books of 2012! 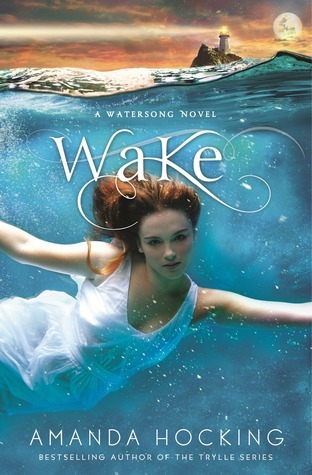 Then starting July 25th we'll be giving away an ARC of Amanda Hocking's latest novel, Wake, which releases on August 7th! We'll have other giveaways popping up all throughout July as well, so be sure to stop by all month long for your chance to win some awesome books! Congratulations, guys! Awesome blog. Awesome giveaway. Thank you for thinking of us. Congrats on reaching a year! Let's hope there are many more fun filled years in the future! !